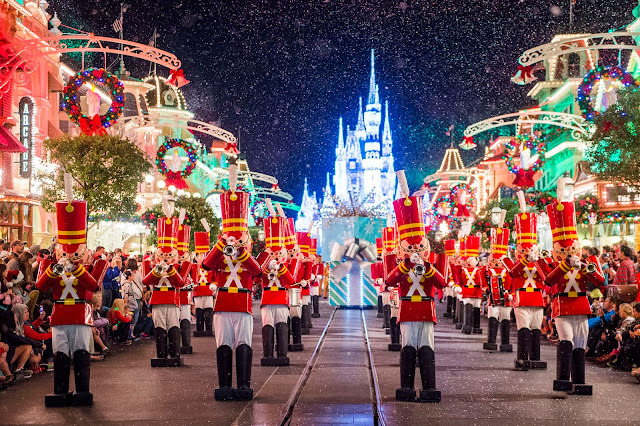 Walt Disney World has announced 18 new experiences for guests to enjoy during the Holiday 2018 season! The additions include new decorations, live entertainment, food and beverages, merchandise, and more! "Toy Story Land Holiday Decor and More – Holiday fun comes to this brand-new land, including an oversized cranberry-and-popcorn garland and a 10-foot-tall Hamm sugar cookie. Guests will hear sleigh bells ringing on Slinky Dog Dash, while Alien Swirling Saucers will offer two holiday tunes with themed lighting. Toy Story characters will also don new looks for the season, as Woody and Jessie will sport special holiday vests and sprigs of holly on their hats, while Buzz Lightyear will wear a snazzy Santa hat. Look Festive and Fabulous with Character Couture – Character Couture packages offer sophisticated hairstyles, as well as detailed makeup and nail designs inspired by Disney characters. During the holidays, guests will be able to look their best for the season with wintry and festive makeovers. Services are available at salons at select resort hotels; appointments are strongly recommended." There are many seasons for visit any kind of places like winters, Summers, Automn, Rainy etc. If you are planning to travel like https://www.shimlapacks.in/shimla-honeymoon-tour-packages-kalka in winters, Then you can enjoy breeze which is too cold. You can think that what is the kind of experience when you are travelling in winter. As we know that in winters Environment is colder than usual.